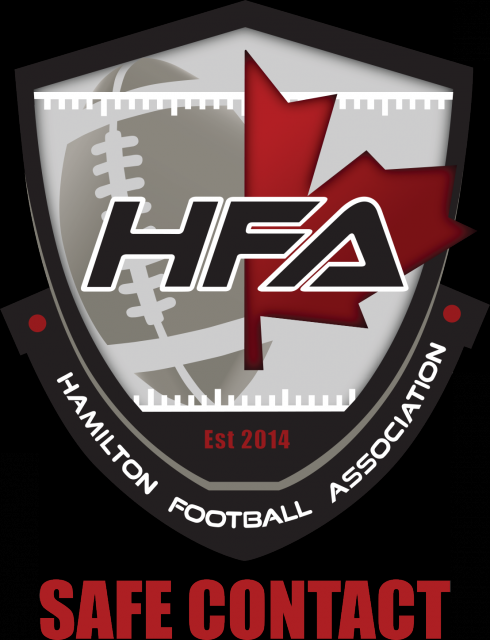 Updated Monday February 23, 2015 by Hamilton Football Association. In Canada the "Safe Contact" Training is the equilvanet of USA Football "Heads Up". click here or visit http://safecontact.footballcanada.com/ for more information on Safe Contact. HFA has lead the Nation in trained and educated Safe contact coaches. The Datalys Center for Sports Injury Research and Prevention has released findings of a 2014 study that shows youth football players in leagues that participate in USA Football’s Heads Up Football program have a 76 percent reduction in injuries compared to those in leagues that do not take part in the program. Datalys’ 2014 youth football research extends its work from 2012-13. The three-year longitudinal study is believed to be the first of its scope in youth football’s 80-plus year history. USA Football, the sport’s national governing body, commissioned Datalys Center to conduct its two-pronged 2014 study. Datalys evaluated (1) the effectiveness of USA Football’s Heads Up Football program and (2) compared the risk of injury and head impacts in players introduced to Heads Up Football against those who were not. Endorsed by the National Athletic Trainers’ Association, the American Medical Society for Sports Medicine and other leading organizations across medicine and sport, USA Football’s Heads Up Football is a comprehensive approach to teach and play the sport better and safer on youth and high school levels. The program encompasses USA Football’s nationally accredited Level 1 Coach Certification Course; in-person training of Heads Up Tackling techniques; Centers for Disease Control and Prevention (CDC) concussion recognition and response; heat and hydration protocols; and instruction on proper helmet and shoulder pad fitting. The program will include Heads Up Blocking and sudden cardiac arrest protocols in 2015. More than 2,100 youth tackle football players age 5-15 across 100 teams and 10 youth organizations spanning four states were matched for location, socio-economic, playing standard and other factors. Datalys placed independent athletic trainers at the leagues’ practice and game fields to manage and document player health. Datalys’ study of the Heads Up Football program employed the same intensive methodology as its NCAA Injury Surveillance Program and the National Injury Treatment, Injury and Outcomes Network (NATIONTM). Of the 2,108 players in the study’s sample, 1,404 were in Heads Up Football-practicing leagues, and 704 were in leagues that did not employ Heads Up Football. Datalys sought a two-to-one difference in 2014 Heads Up Football program players to balance its youth football safety surveillance data from 2012-13. Compared to non-Heads Up Football leagues, leagues that adopted Heads Up Football had a 76 percent reduction in injuries. Players in Heads Up Football leagues were 57 percent less likely to sustain a time-loss injury, which is an injury keeping an athlete from returning to play for at least 24 hours. Compared to non-Heads Up Football leagues, leagues that adopted Heads Up Football had a 34 percent reduction in concussions in practices and a 29 percent reduction of concussions in games. Through three years of research (2012-14) encompassing more than 6,000 players ranging in age 5-15, 2.8 percent of all players sustained a concussion. More than 90 percent of youth players in Heads Up Football leagues did not sustain an injury in games or practices during the 2014 season. Bruises were the most common injuries reported (27 percent of all injuries), followed by ligament sprains (22 percent of all injuries). More than half of all U.S. youth football programs and approximately 750 high school programs spanning 44 states registered for USA Football’s Heads Up Football program in 2014. Players age 7 and younger had the highest level of safety throughout the three years of research. Of more than 530 players age 7 or younger accounting for nearly 10,000 individual exposures from 2012-14, only one concussion was observed by the athletic trainers. Within the second prong of its 2014 study, Datalys measured and recorded contact to the head for 72 players age 9-15. Of these 72 players, 38 were in Heads Up Football-participating leagues and 34 were leagues not participating in the program. Youth players in leagues that adopted Heads Up Football registered an average of 2.5 fewer impacts per practice of at least 10g. During a 12-week season with three practices per week, this would equate to a youth player in a Heads Up Football-participating league receiving 90 fewer head impacts than one in a non-Heads Up Football league. “This is compelling data,” Datalys Center President and Injury Epidemiologist Dr. Thomas Dompier said. “I am actually surprised by the strength of the association but completely confident in our findings. It’s logical – in the first two years of research, we found that coach and player behavior was predictive of injury even though we hypothesized differently. That led us to pursue a third year of research to examine if coach education reduced injuries and head impacts, and we found that this was the case. Datalys concludes that coaching behavior is the leading indicator of player safety. USA Football’s Heads Up Football program encompasses coaching education and medically-endorsed standards rooted in education to change coach and player behavior for the better, reducing injury and advancing safer play. Ten youth football leagues of varying sizes and demographics in Arizona, Indiana, Massachusetts and South Carolina comprised the 2014 study’s sample. Individual leagues are undisclosed to preserve the anonymity of the participants. External links are provided for reference purposes. Hamilton Football Association is not responsible for the content of external Internet sites. Copyright Hamilton Football Association All rights Reserved.